FREE LOCAL DELIVERY – just call 01592 328191 to order. Delivery within 10 miles of KY5 9QQ. Not sure about what to feed your cat? ask for a nutrition consultation today! Remember to come along for lots of bargains in store at fantastic prices all year round!. We aim to beat high street retailers on every day prices and if we can’t beat them we do our best to match them. Choose from a wide range of cat toys, litter, litter boxes, interactive toys, CatIt Senses, the Frenzy Cat Toy Ranges, Plague Rats for Cats, Royal Canin & James Wellbeloved, Kong, Applaws, the all important Dreamies and many many many other products all in one store! We are a little treasure trove of all things cat so please, come down and visit us soon even if it’s just for a chat about our furry feline friends. We promise you you won’t be disappointed! Can’t see the item your looking for? If you want to check stock if coming in from further afield give us a ring first on 01592 328191. If you are looking for an item we don’t carry as standard, don’t worry. Just ask staff and they can price it up for you and if available book it onto the weeks Wednesday Delivery for you*. This includes pet goods for Dogs, Small Animals and Birds. 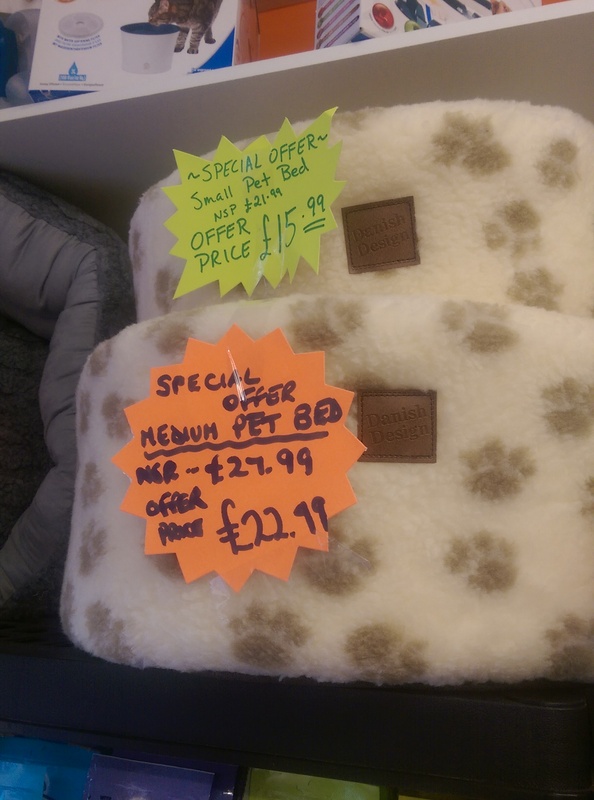 We do carry a small number of items in store for Dogs including dog food, dog treats and dog toys and others can be obtained for you by pre ordering*. Remember – we also stock a wide range of brand new and nearly new goods in our shop that aren’t all related to cats. Grab yourself some amazing bargains. All sales made from the Cat Care Centre will fund our important cat rescue work as Sunny Harbour Cat Rescue (Registered Charity No SC041871). So you can be sure you’re not only helping your own pet have some enjoyment but are also helping a very hard working local charity. *Pre ordered items must be paid for at the time of ordering. You can order over the phone or in store.